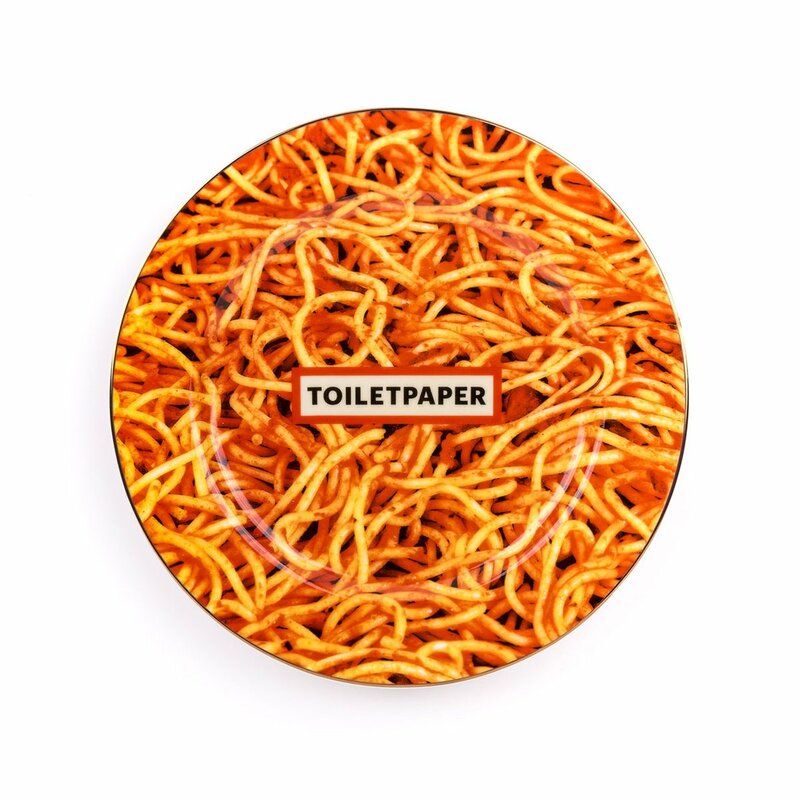 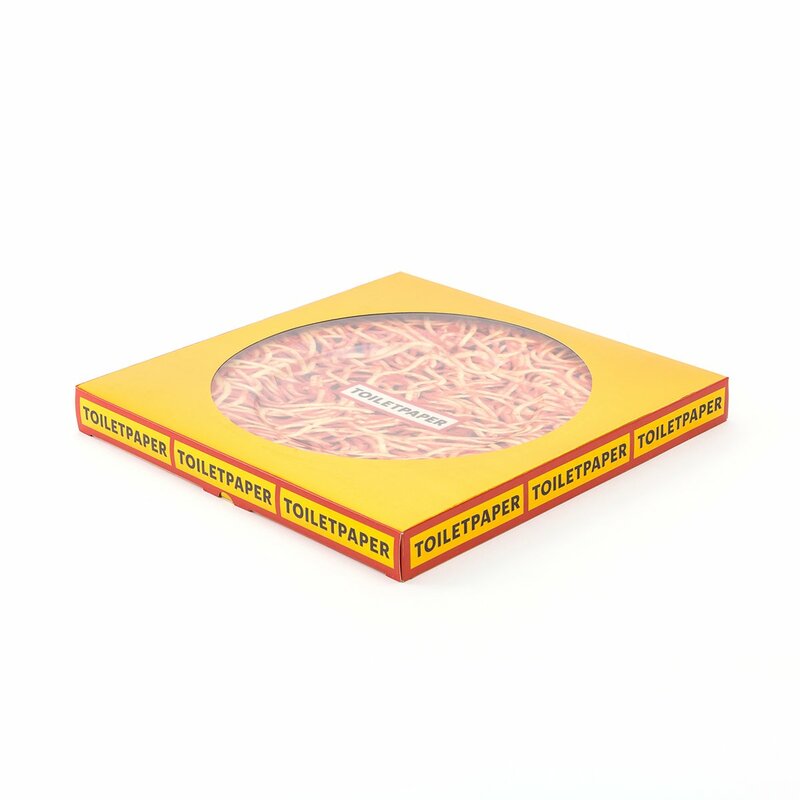 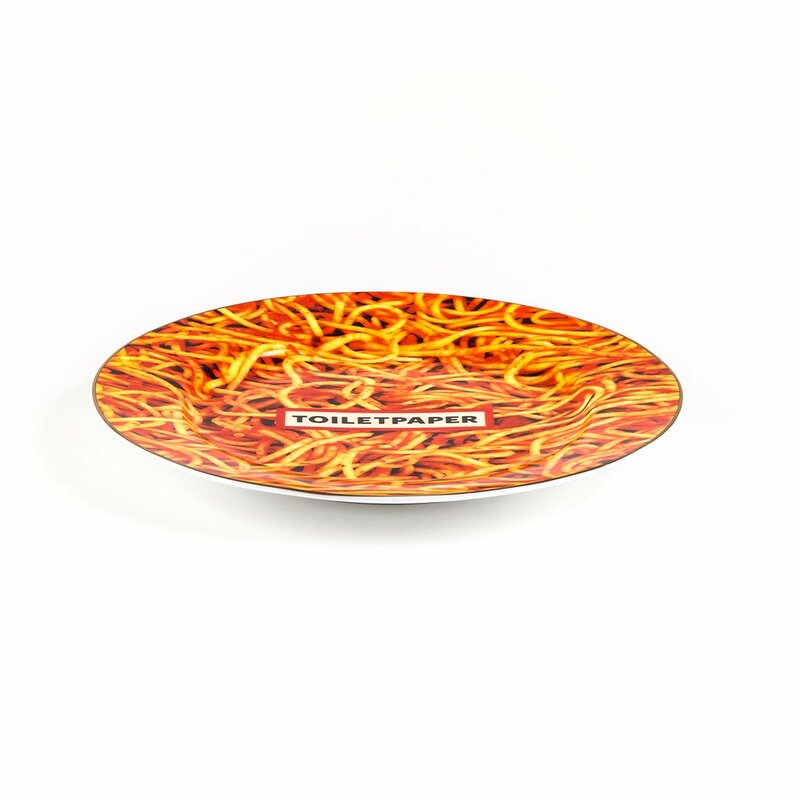 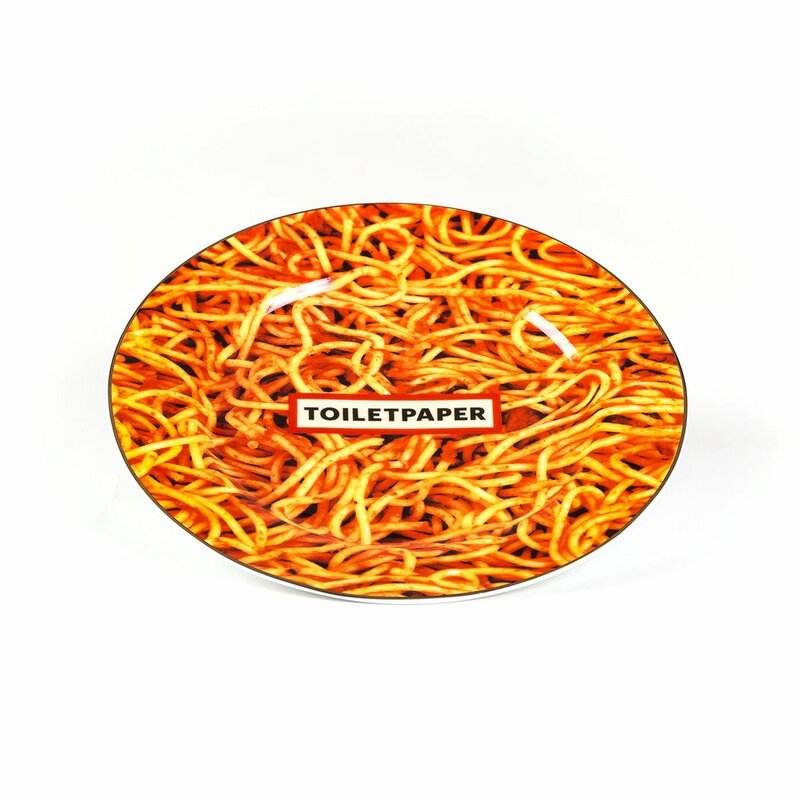 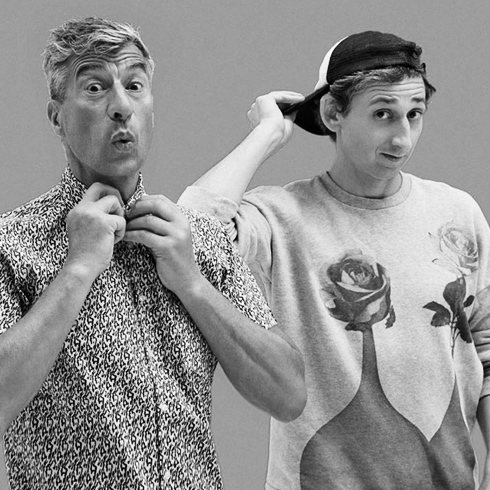 This plate is part of the Toiletpaper collection, designed by Maurizio Cattelan for Seletti. 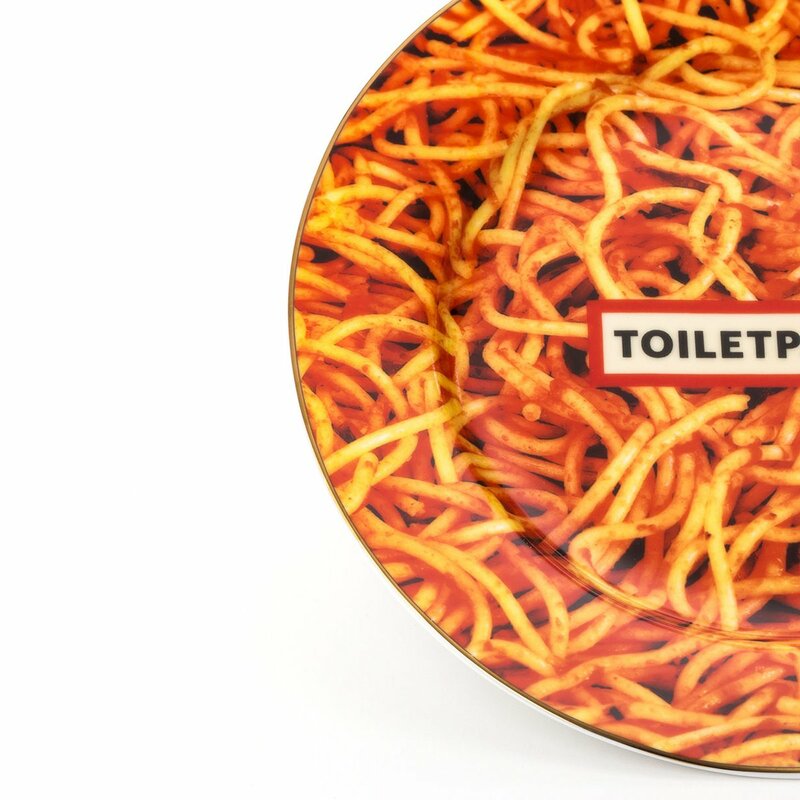 The decorations used for these dishes are surrealist images taken from Toiletpaper magazine, founded in 2010 by two Italian artists. 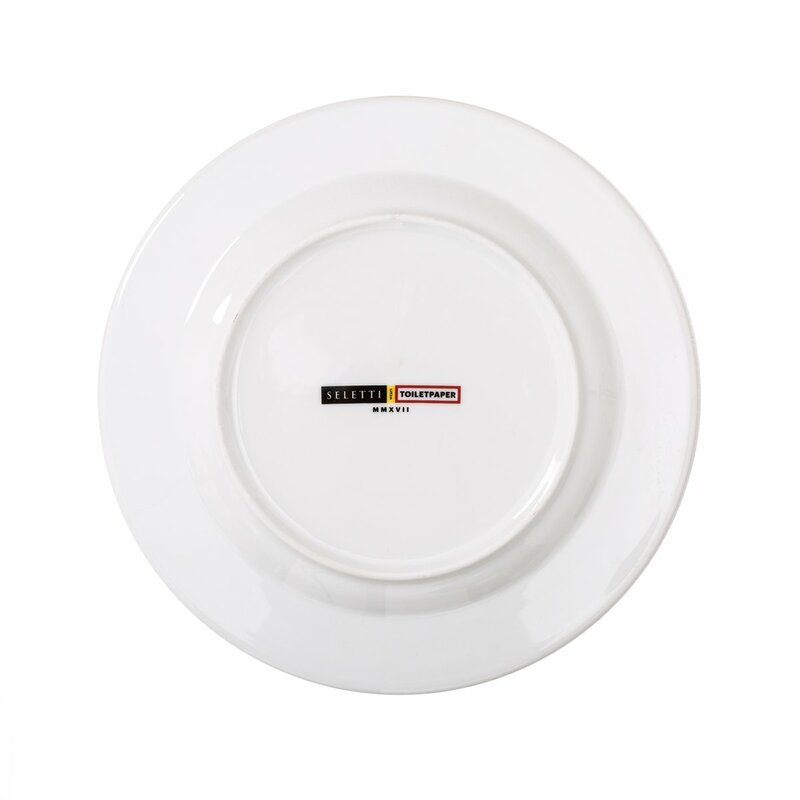 This dish, made of porcelain, is dishwasher safe.